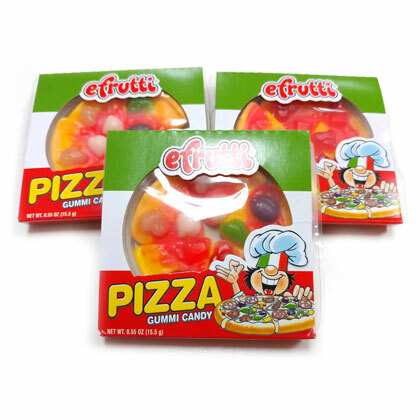 Gummi pizza with several delicious gummi toppings! 10 count. Approx. 2.25 inches in diameter. Net weight .6 oz.